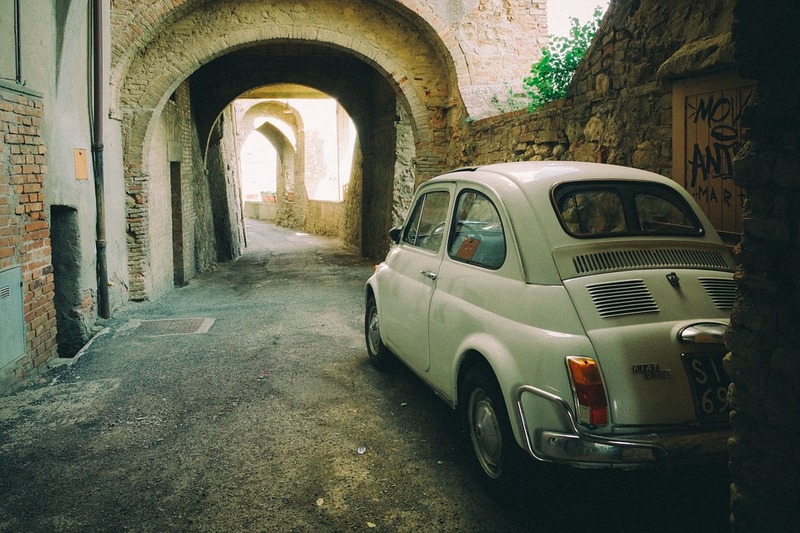 Driving in Italy may seem daunting to many, but I can assure you it’s not that bad! People do drive fast, but they also respect the rules, except when it comes to parking. With no doubt, Italians are “creative parkers”. Milan has the perfect strategical location to use as a base for exploring Italy by car. Even if you’re in Milan on business, and only have one extra day to see the nearby sights, consider renting a car and see more than one city or region. You can pick up a car at the Linate airport, or other airports or even in town at the Stazione Centrale (Central Station). I have created three day trips; Scenic Drive along Lake Como, a Countryside drive through Lombardia and Emilia-Romagna and a Romantic Getaway from Milan. You can do the tour in a day or take some extra time and spread it out over a weekend. I hope you find the time to explore the wonderful areas around Milan. Enjoy! 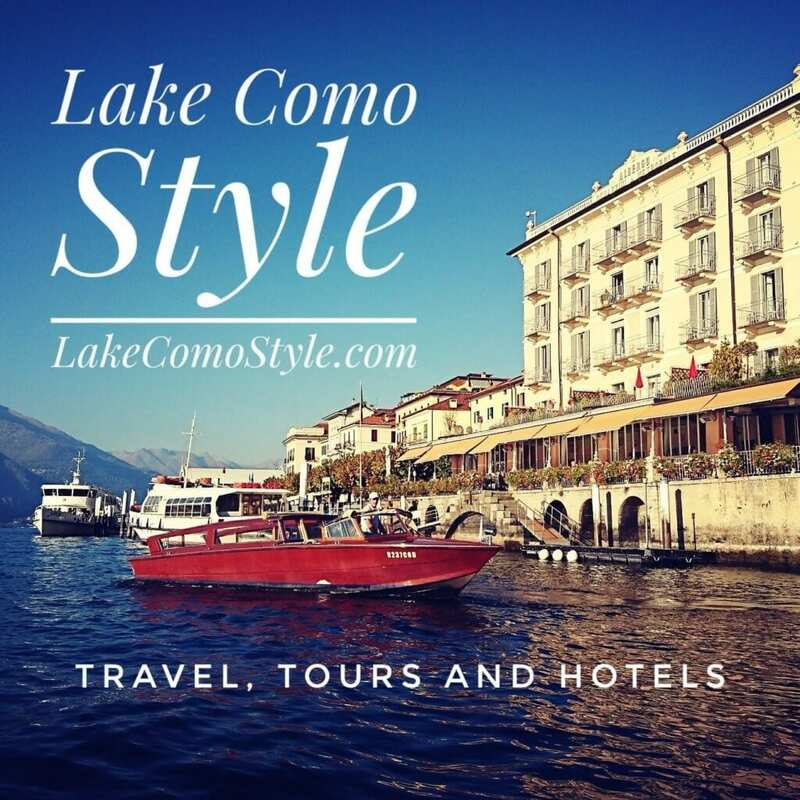 There are many towns along Lake Como but if you only have one day, you should not miss the cobbled stoned streets of Varenna and the “Pearl of the lake” Bellagio, both found in Lombardy. Varenna is a one and a half hour scenic drive from Milan (76km). In Varenna you will find charming little houses upon the hill, cobble stoned paved alleyways and La Passeggiata d’amore, a Lovers Lane promenade framed in Wisteria. Take a walk before lunch, following the alleyway along the lake. Walk up one of the stone staircases and explore your way to Piazza San Giorgio. Visit the botanical gardens and villa at Villa Monastero. Villa Monastero was once the residential home of Walter Kees, an eclectic, art collector of the late 1800’s. The gardens, rooms and furnishings have been preserved and can be visited. Afterwards, have lunch next door at Villa Cipressi or at one of the charming little restaurants or cafes along the lakefront. Add an extra excursion: hike up or drive up to The Vezio Castle, an ancient Ligurian-Celtic castle built in the late 11th to early 12th century which overlooks the cove from the hilltop above Varenna. To get to Bellagio by car, it’s a 15 minute car-ferry ride from Varenna. Check the ferry timetable before planning your trip . Bellagio is at the center of Lake Como. It is the point where the two branches of the lake meet and has a spectacular view of the upper lake and Swiss Alps. Don’t miss the beautiful botanical garden at Villa Melzi and the gardens of Villa Serbelloni. The Como area is famous for its silk production, hence the many boutiques offering high quality silk scarves and ties. Take time to wander around the city center for shopping and stop along the way at the local enoteca (wine shops) for wine tastings. Add an extra excursion: You can take another ferry across to Cadenabbia-Tremezzina and visit Villa Carlotta, a 17th century villa with an exquisite garden overlooking the lake. The route back to Milan is a one and a half hour drive (73km). On your way back to Milan stop for dinner at the hamlet Pescallo at La Pergola restaurant, they have the best Riso e Pesce Persico (Perch Risotto), a local delicacy best paired with an Italian prosecco. The lakeside road is a narrow curvy road, just like the ones you see in James Bond films, so go easy on the wine at dinner! You can also follow this itinerary leaving from Milan starting with lunch in Pescalo, a visit to Bellagio, a visit to Varenna and Vezio Castle and back to Milan. Mantova and Piacenza are rich centers of art and culture. Mantova is in the Lombardy region, whereas, Piacenza is found in the Emilia-Romagna region. Mantova is a 2 hour drive from Milan (154 km) through the Lombard countryside. Mantova (Mantua in latin) is listed in the UNESCO list of world heritage sites for its exemplary renaissance architecture and art found in the city center. There are so many grandiose palaces to see in Mantova; Piazza Sordello, Palazzo Ducale (the Ducal Place), Castello di San Giorgio (St. George Castle) and the Palazzo Tè. You may not be able to see them all in one day, so if you have to choose, see the Palazzo Tè and the Palazzo Ducale. Visit the Palazzo Tè first as it is a bit on the outskirts of Mantova, a 10 minute drive from the center. Built for the ruling Gonzaga family as a suburban villa, the magnificent palace brings you back in time to an era of courtly elegance and regality. In the historical city center, visit the Ducal Palace and particularly the Camera degli Sposi, (the bridal chamber) found in the Castle of St. George, which are adorned with artwork and frescos of Andrea Mantegna painted during his time as court artist of Mantua. After your visit to the palaces, stop for lunch at a trattoria along the Mincio River of Lago Superiore. Tortelli di Zucca (Pumkin tortelli) is the local speciality. Mantova is also famous for their salami and sausages as well as a lovely dessert cake called Torta Sbrisolona (crumb cake). Add an extra excursion: Visit the city of Cremona rich with Romanesque – Gothic architecture. Mantova to Piacenza is a 90 minute drive (140 km) bringing you more than half way back to Milan. Piacenza is a city of rich history once fought over by the Romans, Gauls and Etruscans. Piacenza has a cathedral, Il Duomo di Piacenza, which took over one hundred years to complete (1122-1233) and is the largest Romanesque church in Emilia-Romagna. In the Palazzo Farnese there is a Pinacoteca (art gallery). In the Duchess’ apartment you’ll find Botticelli’s Madonna with the Young St John. End your day in Piazza Cavalli enjoying an aperitivo, under the gaze of the equestrian statues of which the square is named. If you decide to stay for dinner in Piacenza, try the local delicacies Picula al Caval (shredded horse meat, peppers and sautéed onions) or Stracotto alla Piancentina (boiled beef stew with tomato wine sauce and spices) pairing it with a rich Casteluccio wine form the Cesena-Forli area of Emilia-Romagna. The drive back to Milan is a 1 hour drive (73 km). You can also do this tour in reverse leaving from Milan starting with a morning visit to Piacenza and an afternoon visit to Mantova. Who is not looking for romance when visiting Italy? Verona and Desenzano del Garda set the perfect scene for a dreamy escape. Verona is part of the Veneto region and Desenzano del Garda is in Lombardy on Lake Garda. Verona is a two hour drive from Milan (157 km). Verona is recognized as a UNESCO world heritage site for its preservation of its ancient architecture and structures. Although there is no evidence to prove that Shakespeare ever visited Verona, it is the backdrop of three of his works; The Taming of the Shrew, Two Gentlemen of Verona and of course, the tragic love story of Romeo and Juliette. The ancient Roman amphitheater known as the Arena completed in 30 AD once held gladiator battles, now hosts an opera season every summer as well as modern concerts and shows throughout the year. Much of the seating is on the original marble structure, so bring a cushion for comfort. Throughout the city you will see ancient Roman ruins and don’t hesitate to go in to the many churches; the San Zeno Basilica, the scene for Romeo and Juliette’s secret marriage and the Saint Anastasia church which has an exquisite inlayed mosaic pavement. Juliette’s balcony is in a medieval palace in Via Cappello. Enter into the courtyard, look up, and recite your best Romeo to the tourists above. Rubbing the right breast of Juliette’s bronze statue will make you lucky in love. The original statue needed restoring, so you may see a replica until it is returned. The Castelvecchio fortress and bridge spread across the Adige River, and were built by order of Lord Cangrande II della Scala to protect his lands from enemies such as the Gonzagas of Mantua. End your day in Verona with a meal at Caffé Dante, not only a nice outdoor caffè, but also Verona’s most historical restaurant serving fine cuisine as well as after opera dining in summer. Desenzano del Garda is a forty minute drive from Verona. Desenzano del Garda was once the hoilday resort for the Veronese nobility. Visit the Castello di Desenzano (Desenzano Castle) overlooking the lake and port. The castle dates back to medieval times. It was once a military fortress and entrusted to Count Basone I in 1030 by emperor Enrico II. Today it can be visited and is used as an open air theatre in summer. Take a walk along the Lungo Lago (lakeside promenade), beaches and explore the city center. Piazza Malvezzi and the ancient harbor have a charming view of the lake and mellow cafes, wine bars and shopping. End your day of sightseeing with a Franciacorta sparkling wine and relax in front of the lake. The way back to Milan is a one hour and a quarter drive (130 km). Add an extra excursion: Burn off some extra calories and walk up to the top of Torre San Martino (Saint Martin’s Tower). A fifteen minute drive inland from Desenzano del Garda. Add an additional extra excursion: The city of Brescia is on the way back to Milan and is nice for dinner and an evening stroll. Any and all of these tours by car from Milan will also work as nicely as weekend trips.